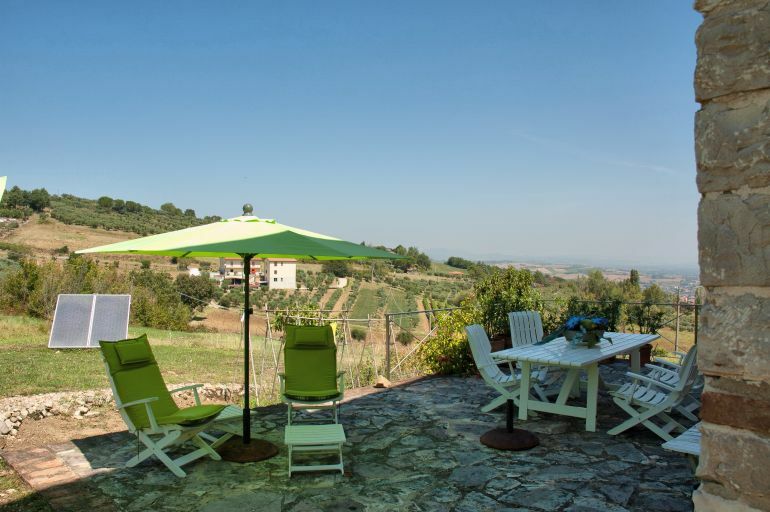 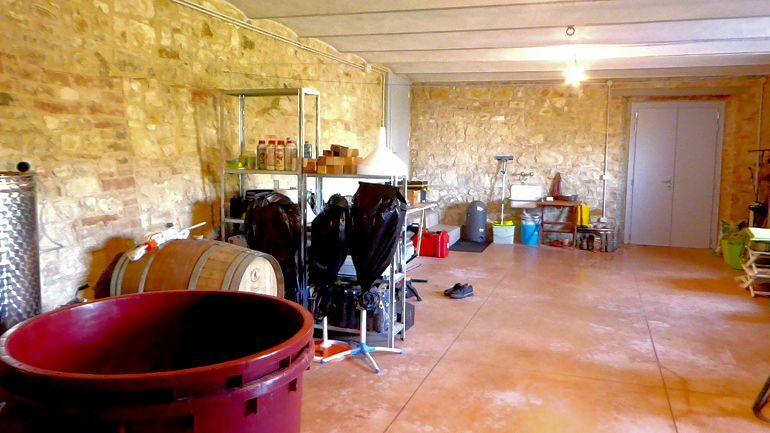 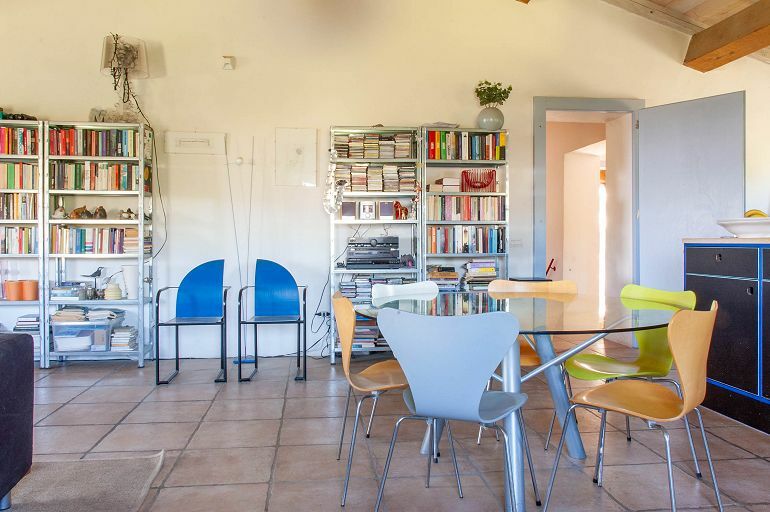 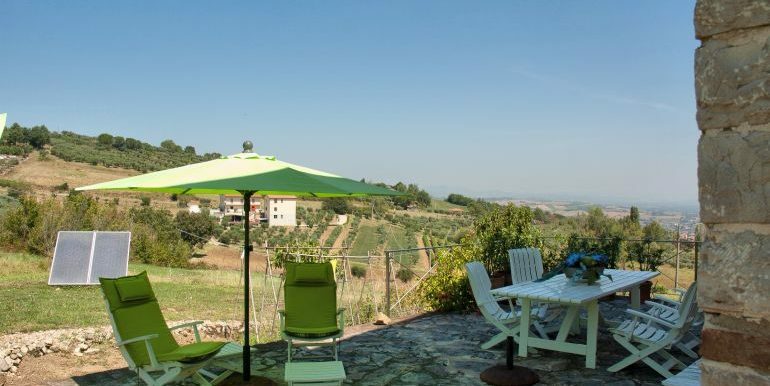 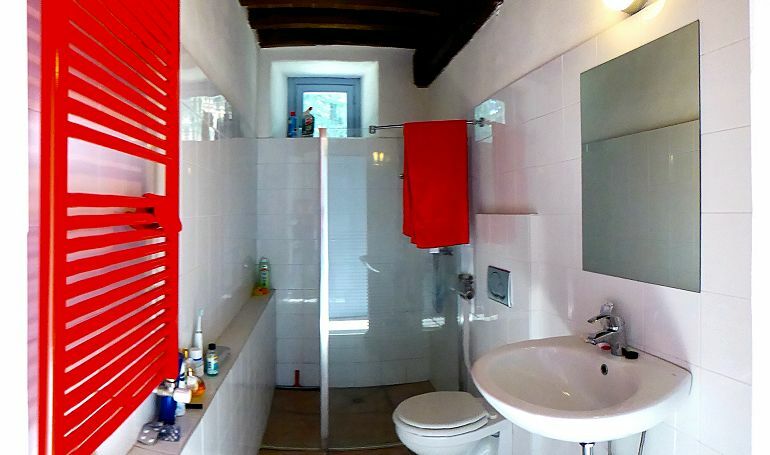 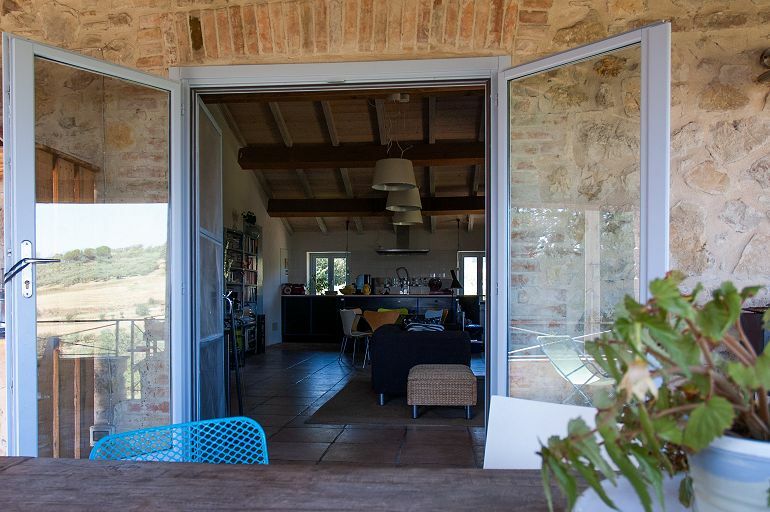 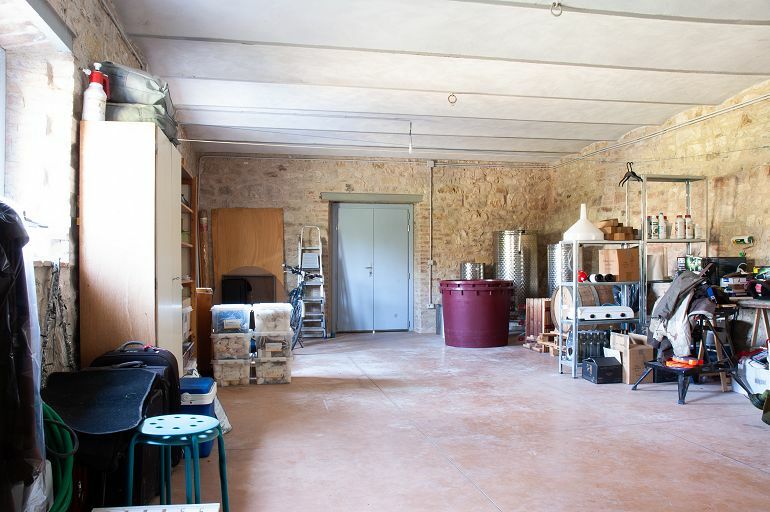 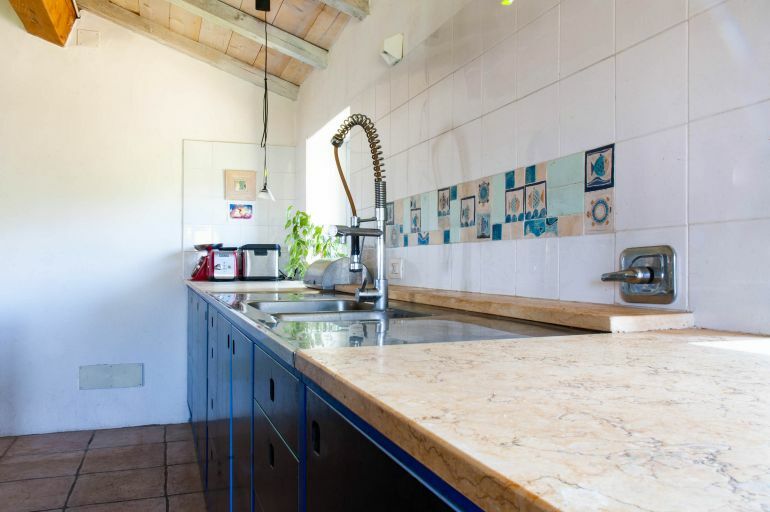 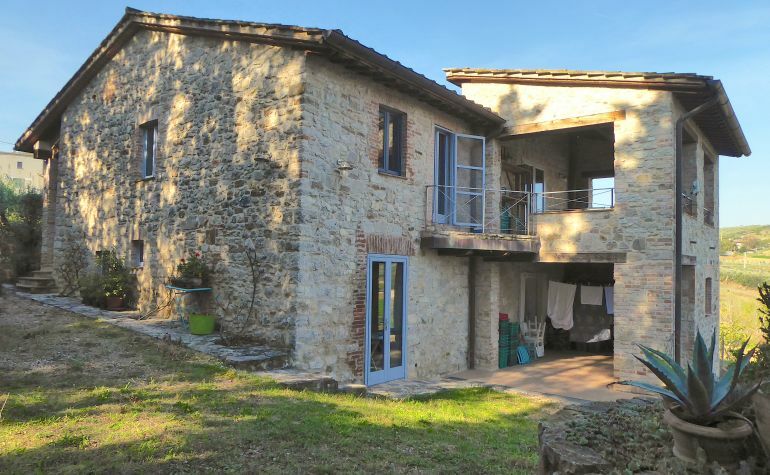 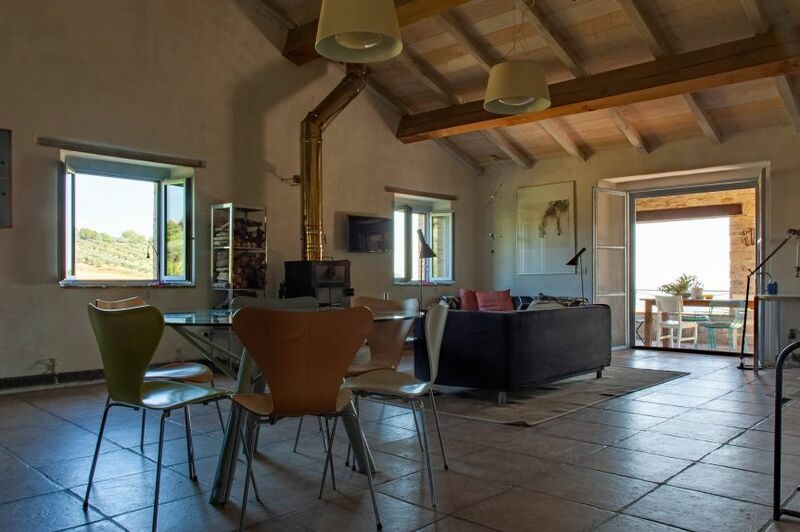 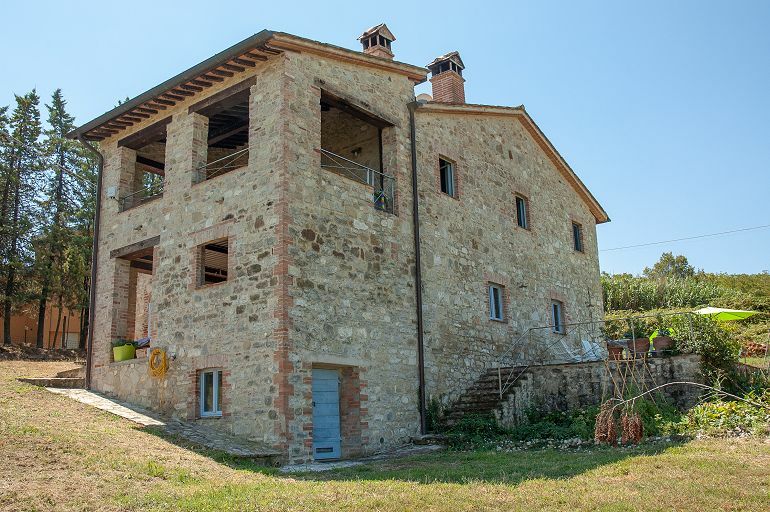 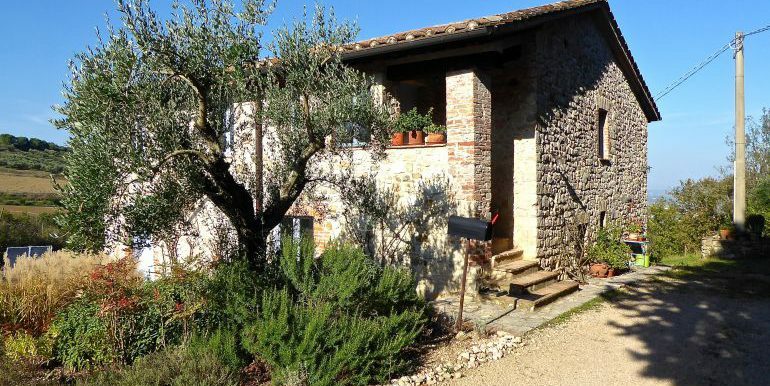 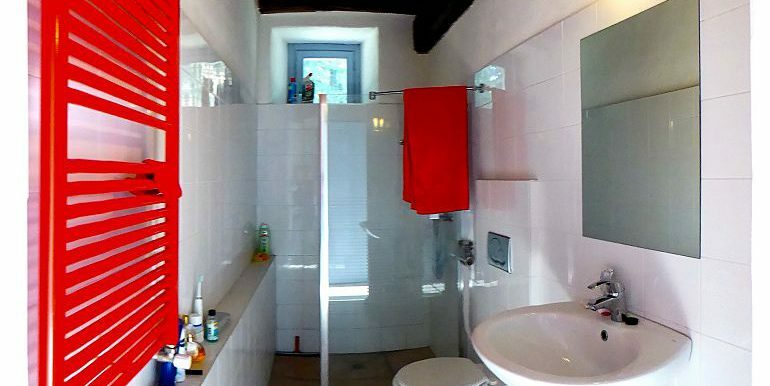 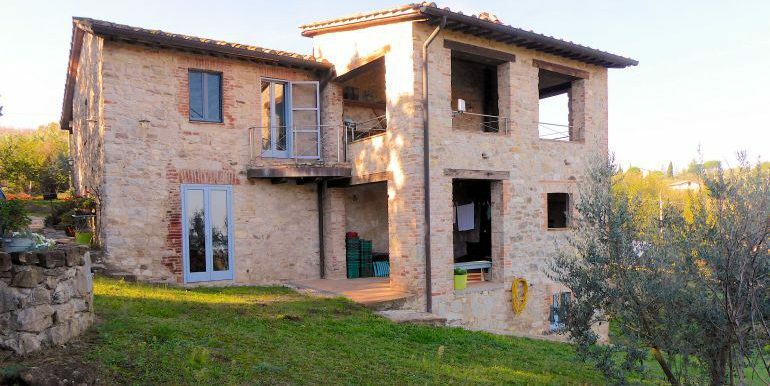 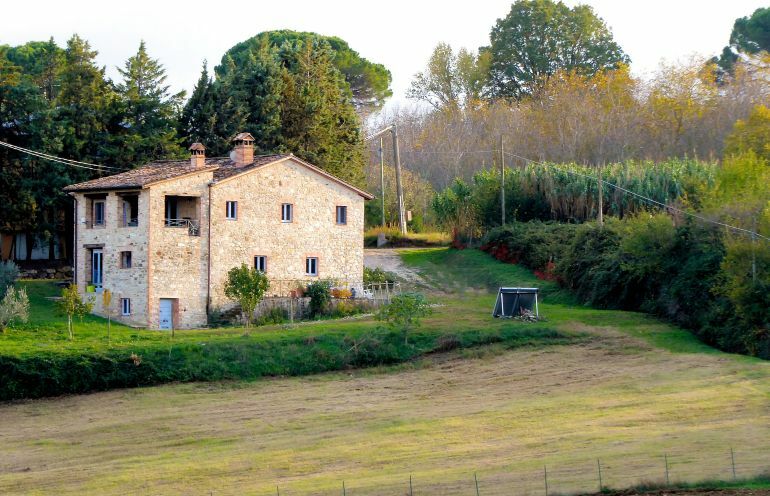 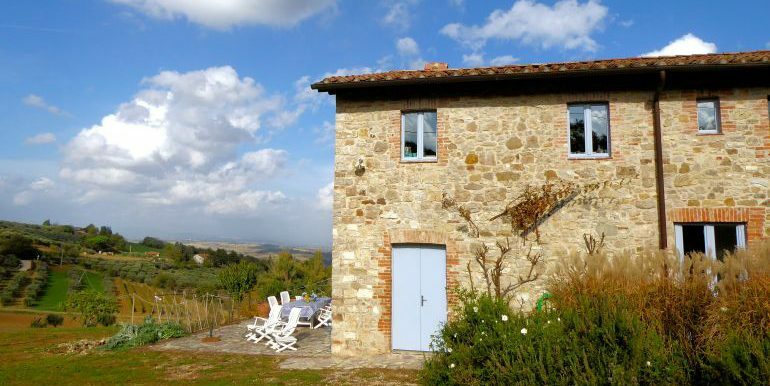 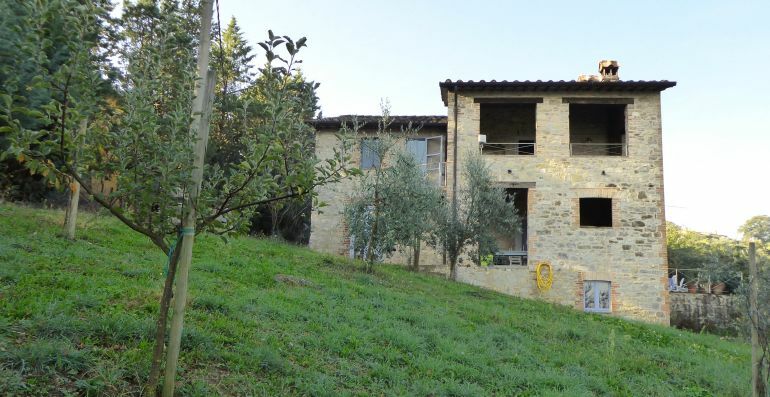 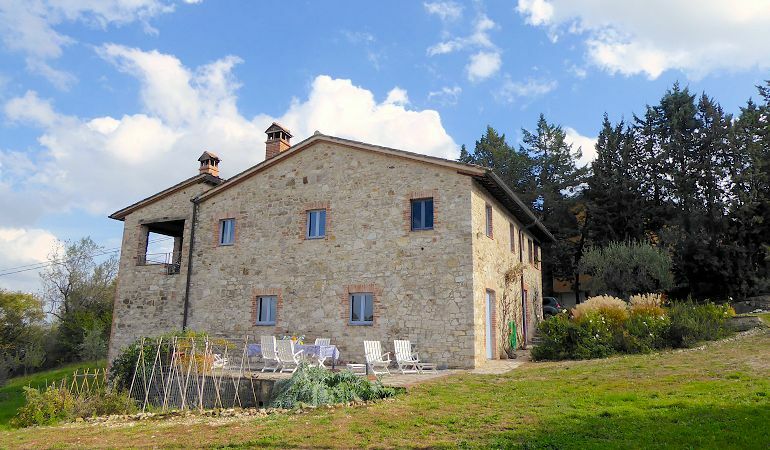 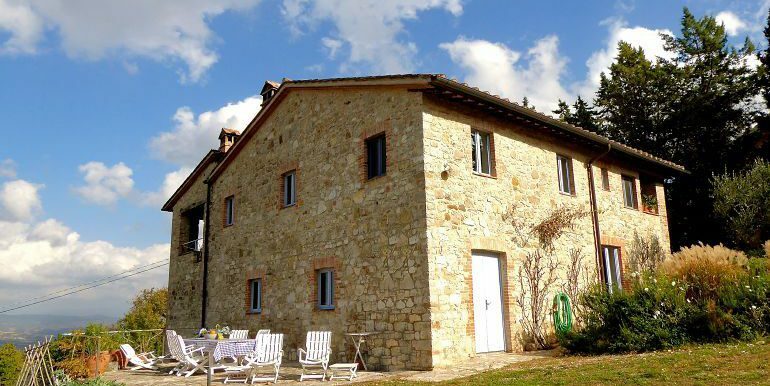 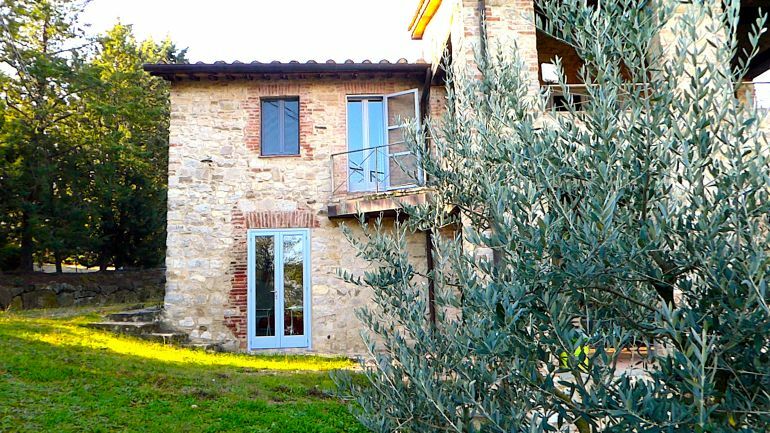 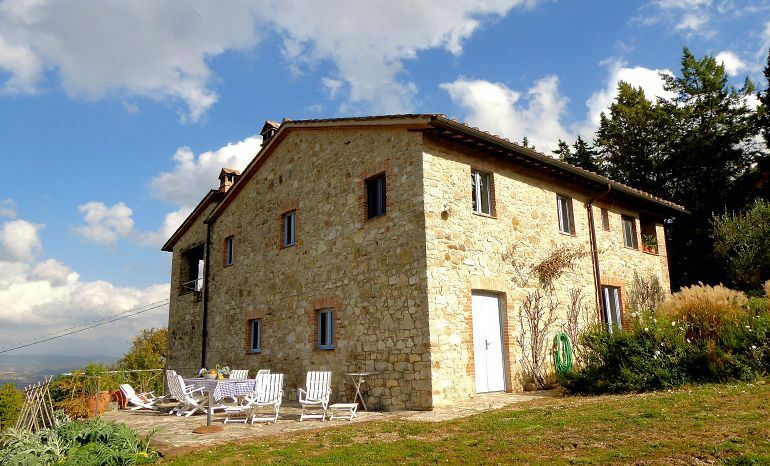 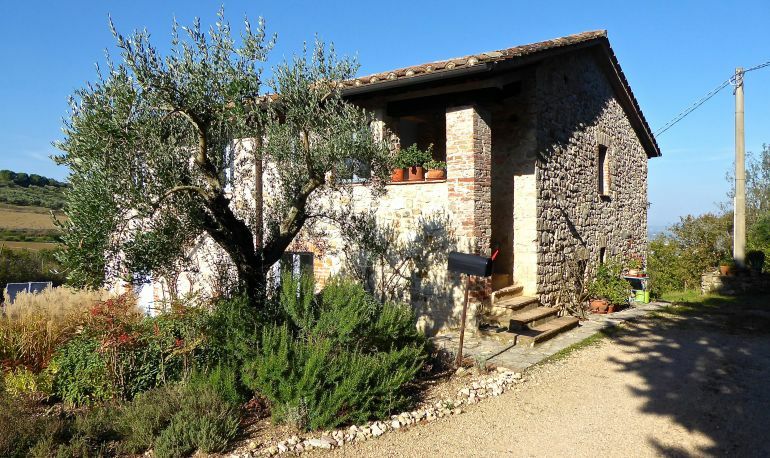 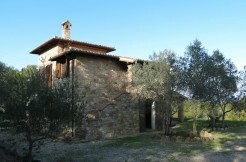 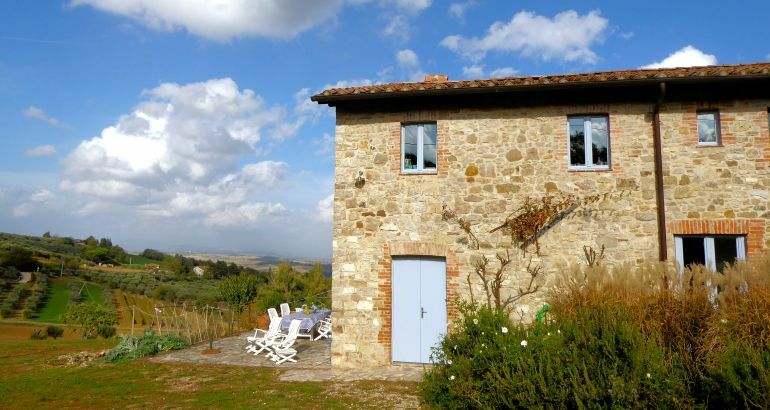 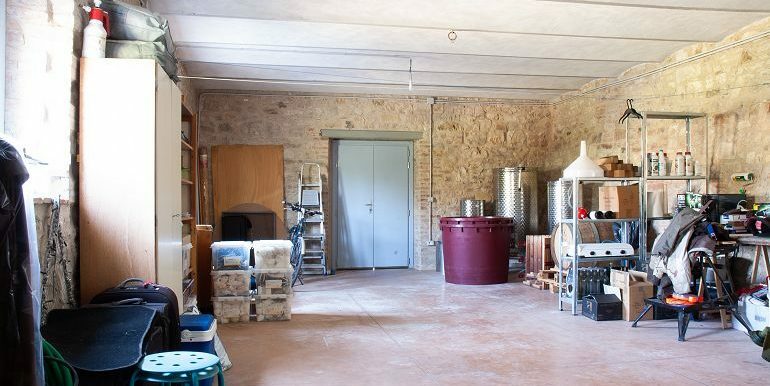 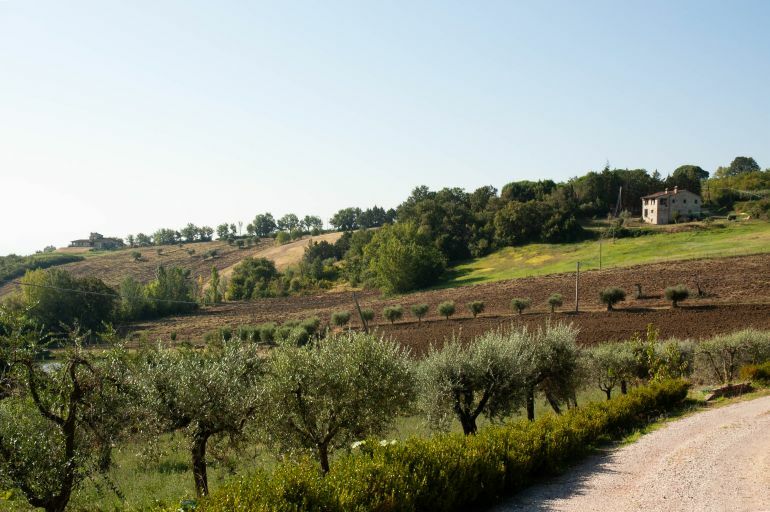 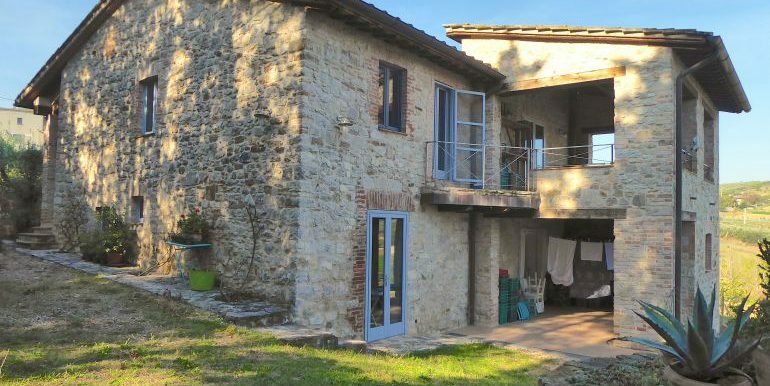 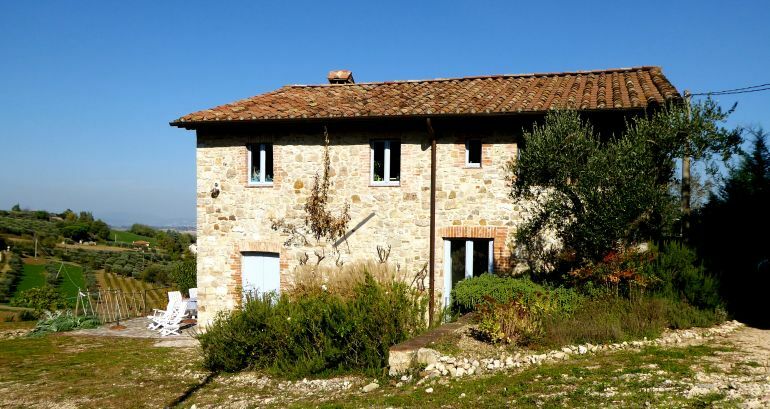 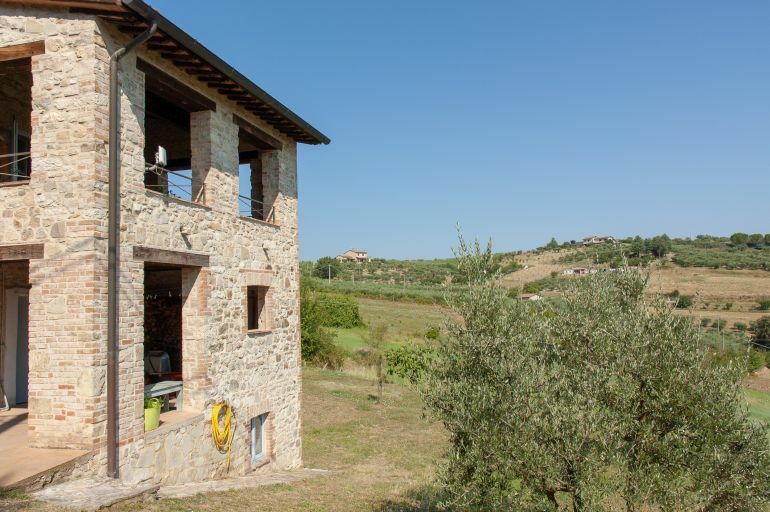 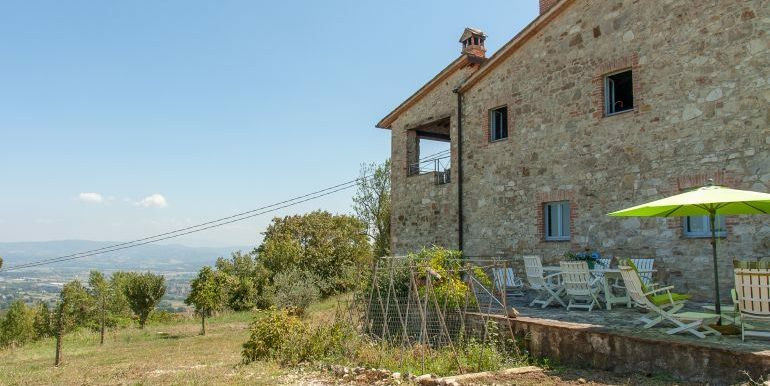 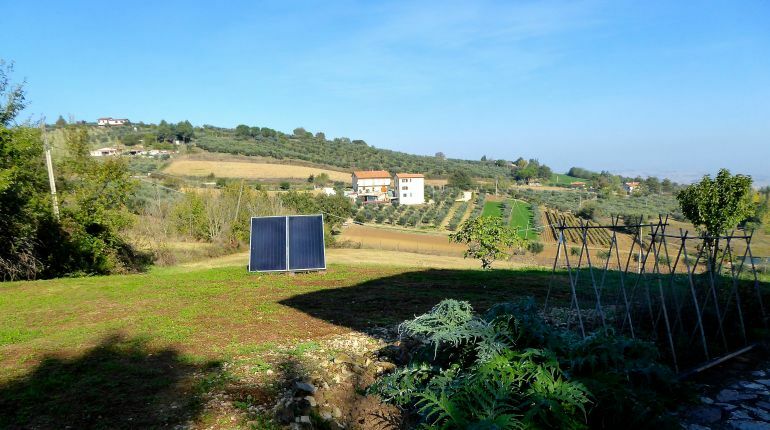 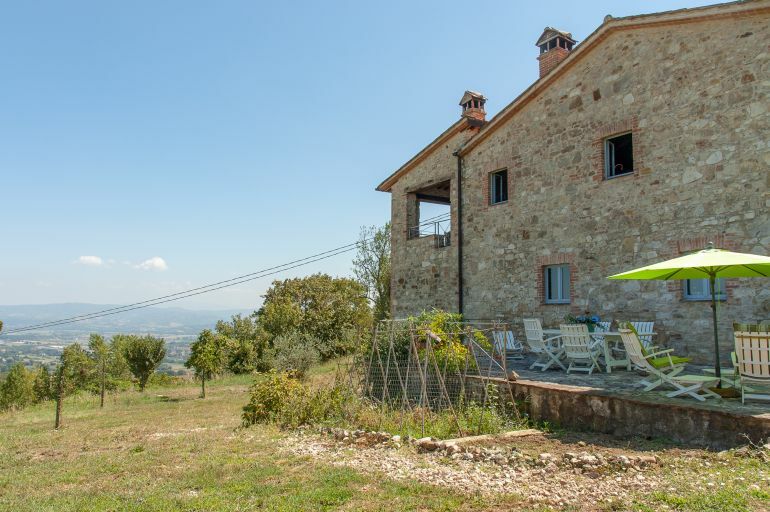 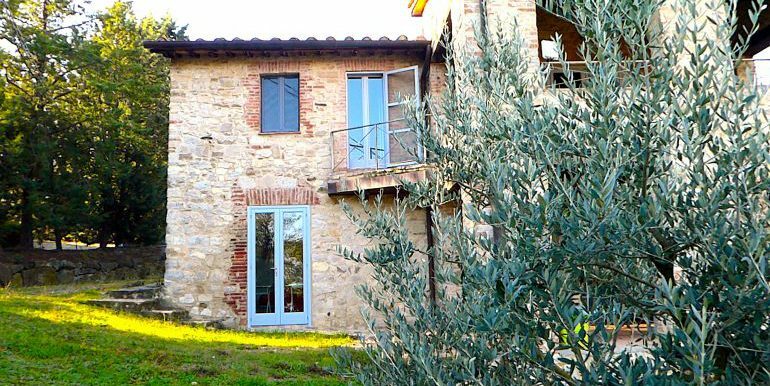 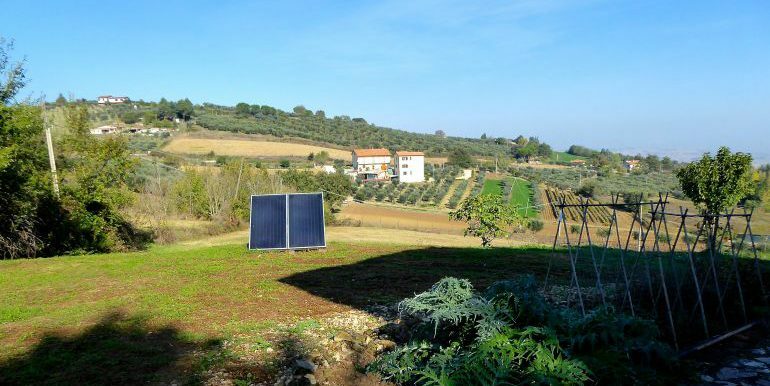 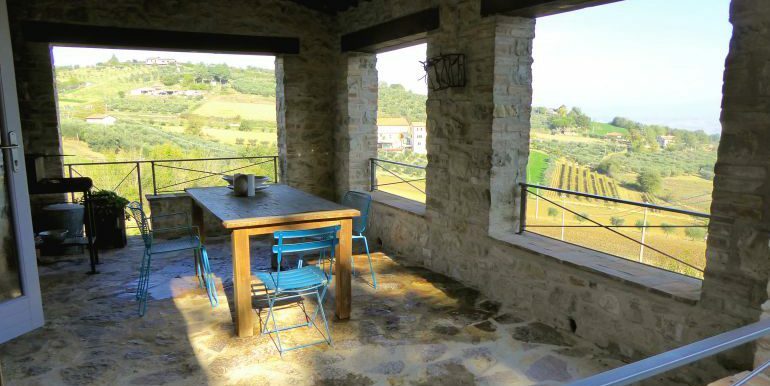 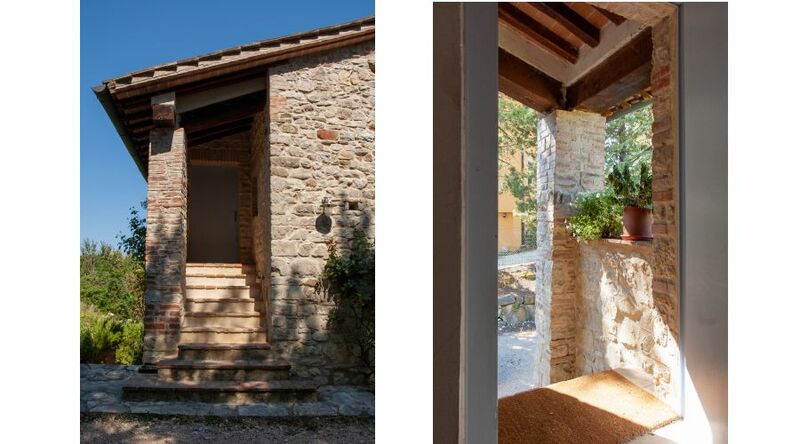 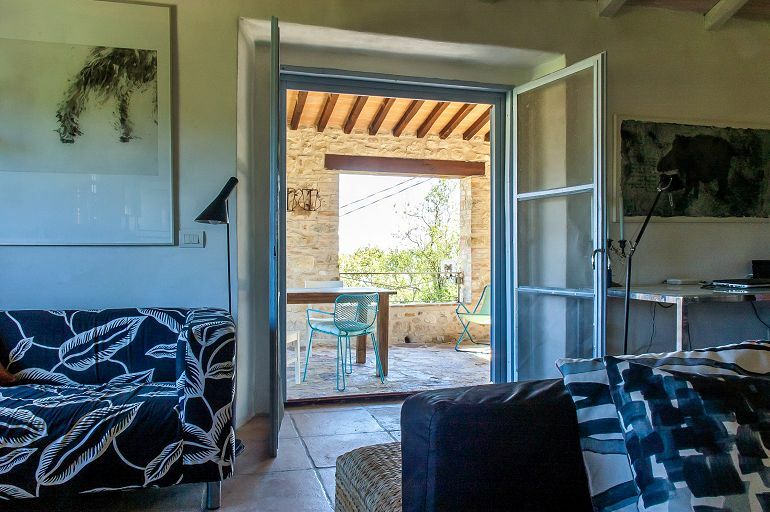 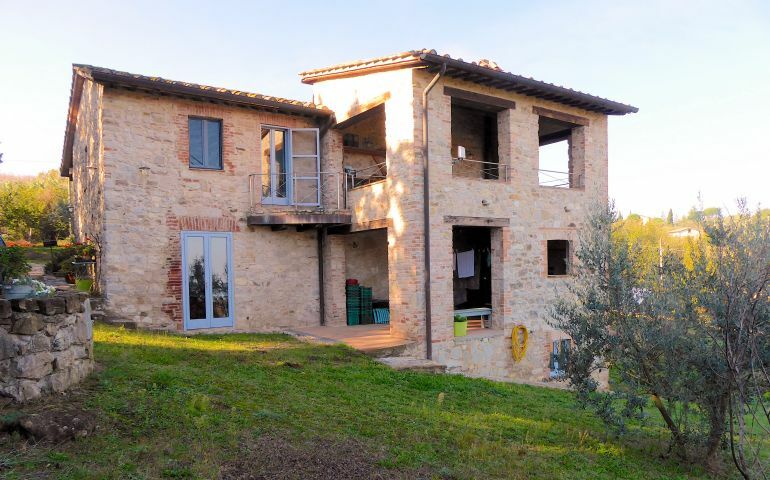 Completely renovated original stone farmhouse in a very panoramic hill position. 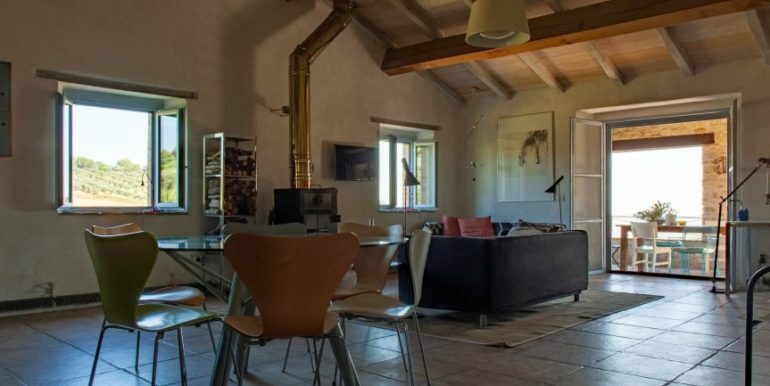 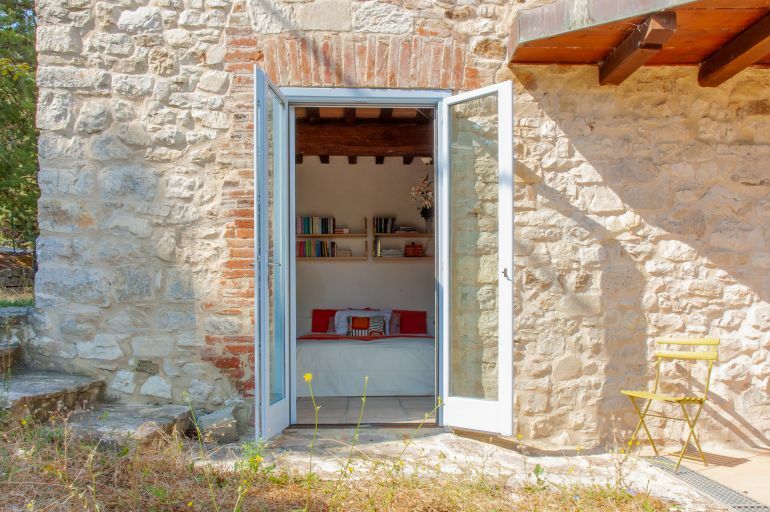 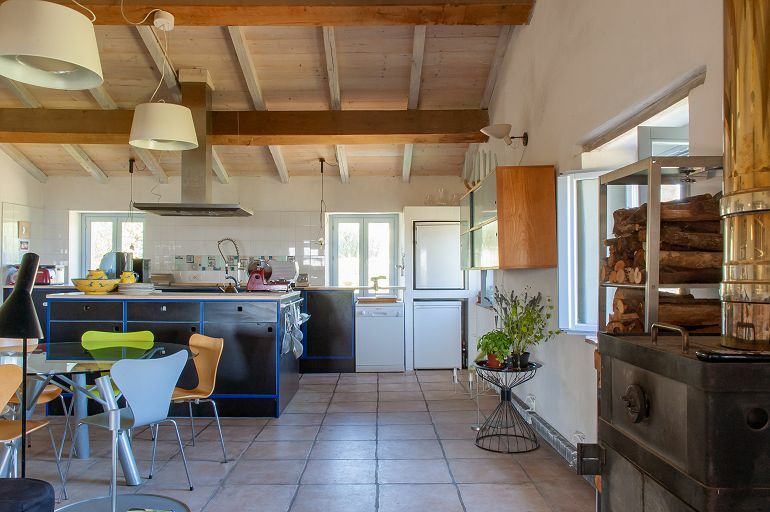 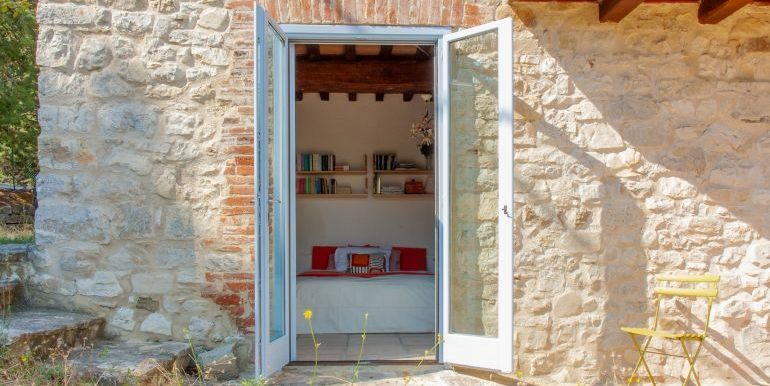 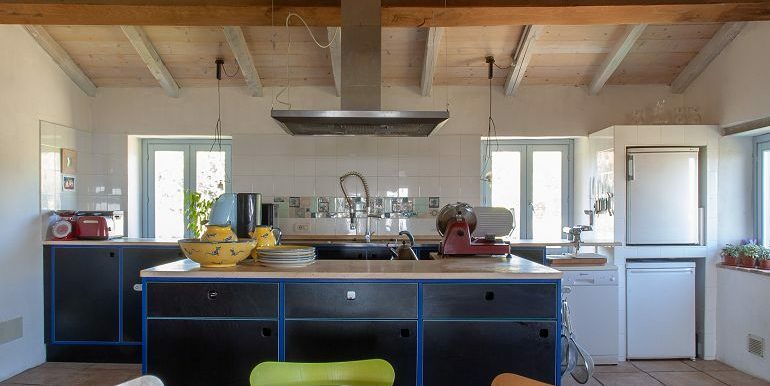 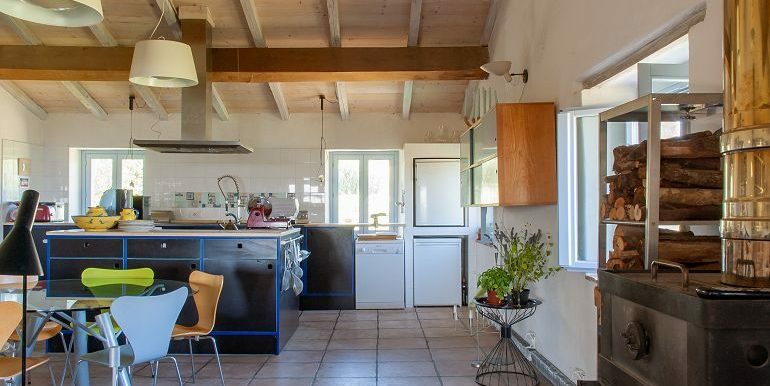 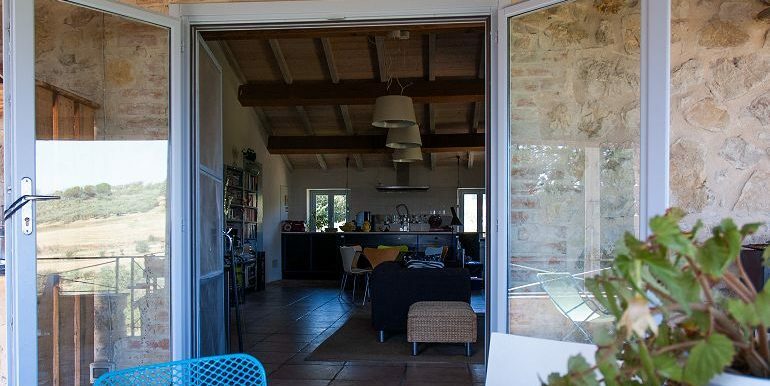 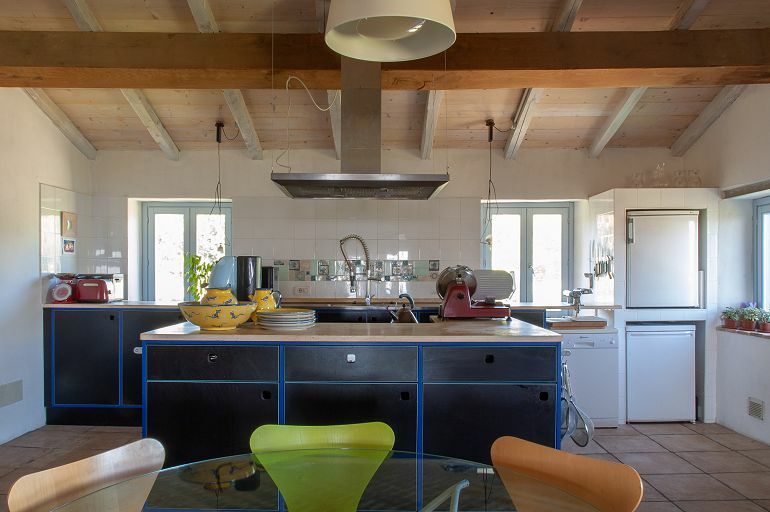 The farmhouse has kept the original features such as wooden beams in the interior and offers all the comforts of a modern home thanks to an accurate restoration and with the utmost regard for thermal insulation. 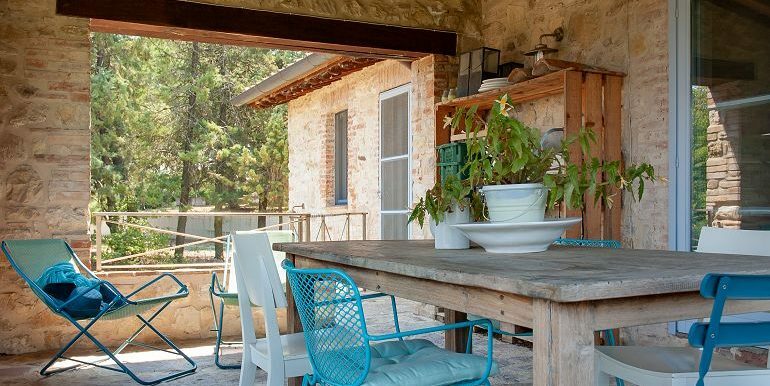 Surrounded by a garden characterized by the presence of various plants and trees and a total land of 1.2 hectares. 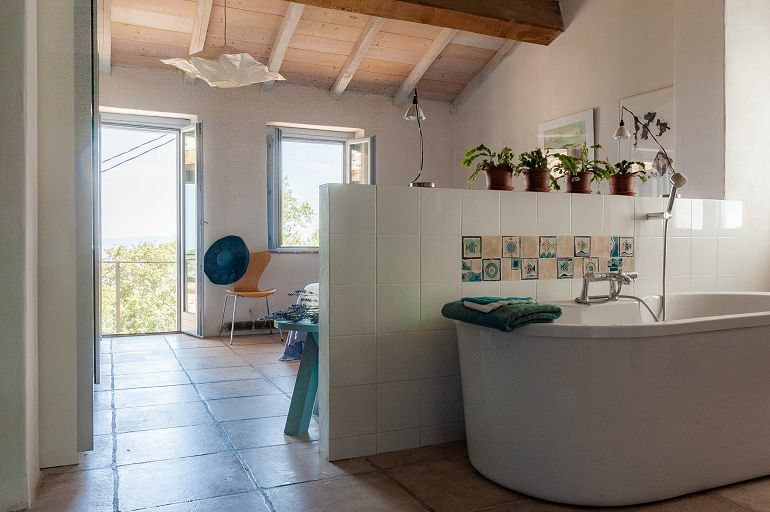 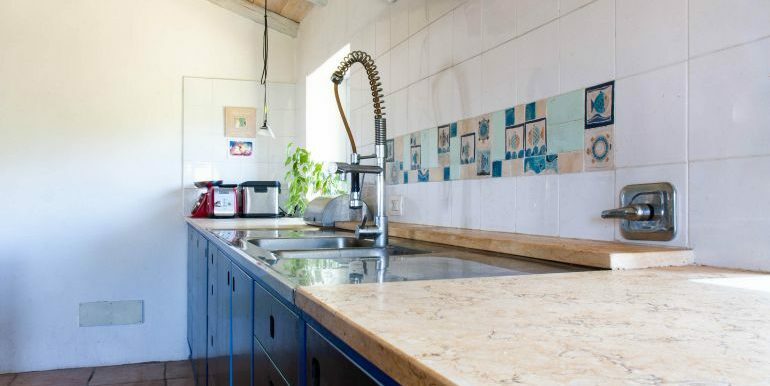 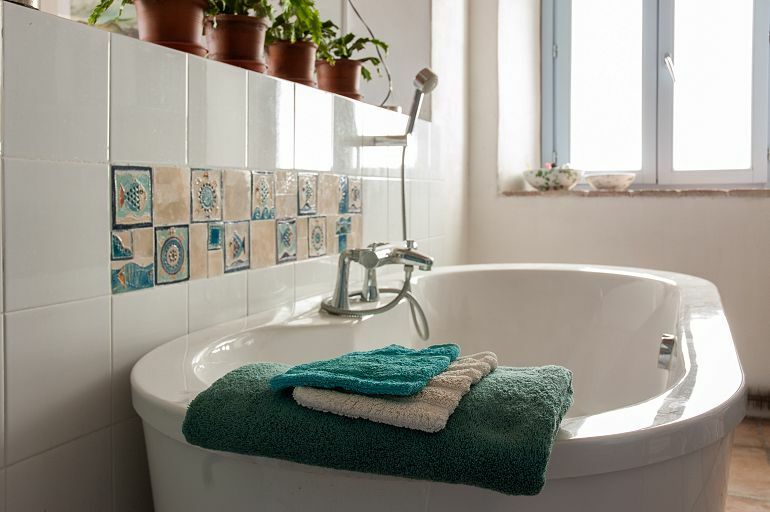 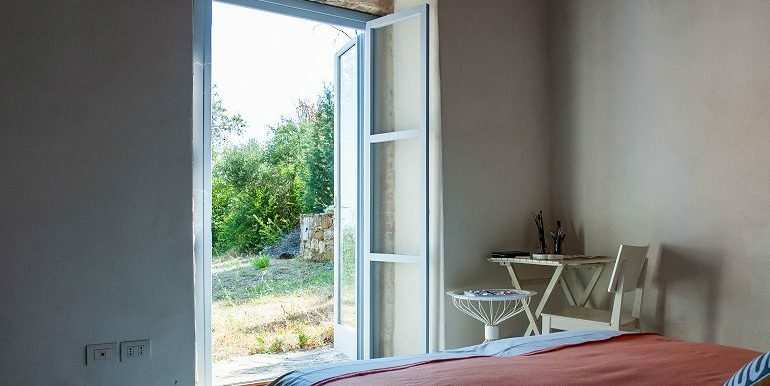 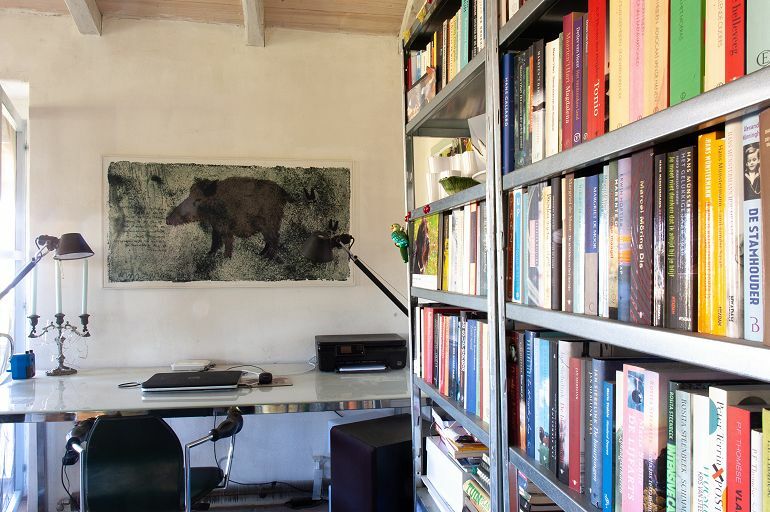 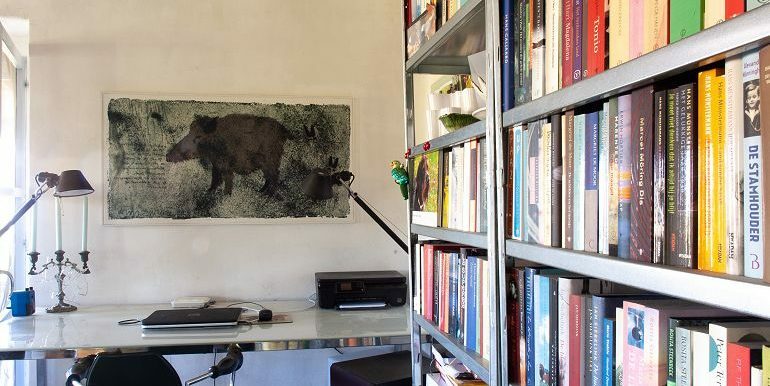 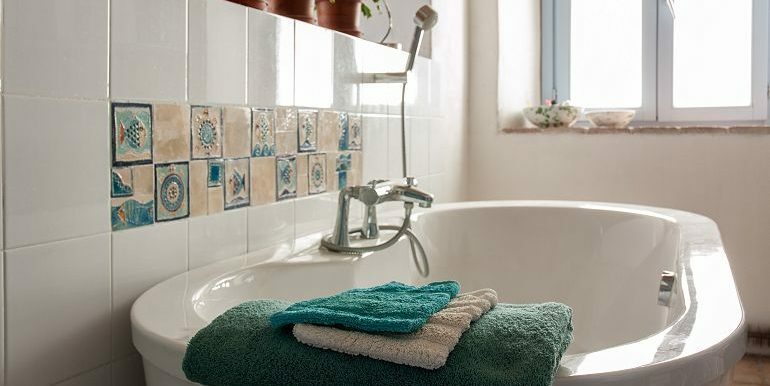 Perfect as a habitual home, it offers the tranquility of the countryside as it is not isolated and all services nearby or as a country home where you can regenerate and rediscover the peace and silence of nature. 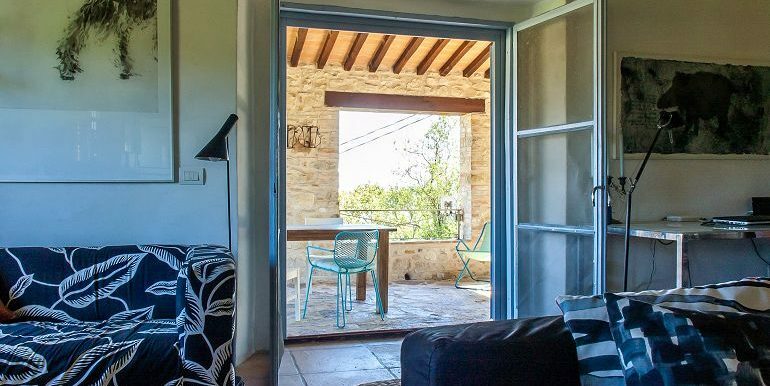 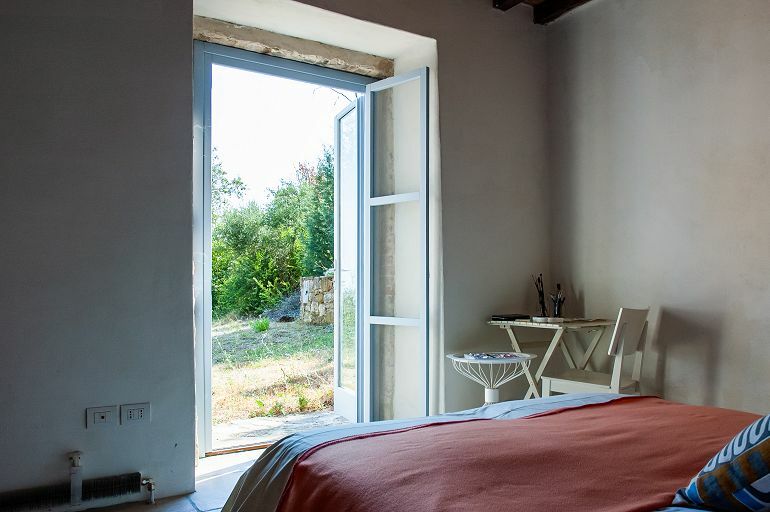 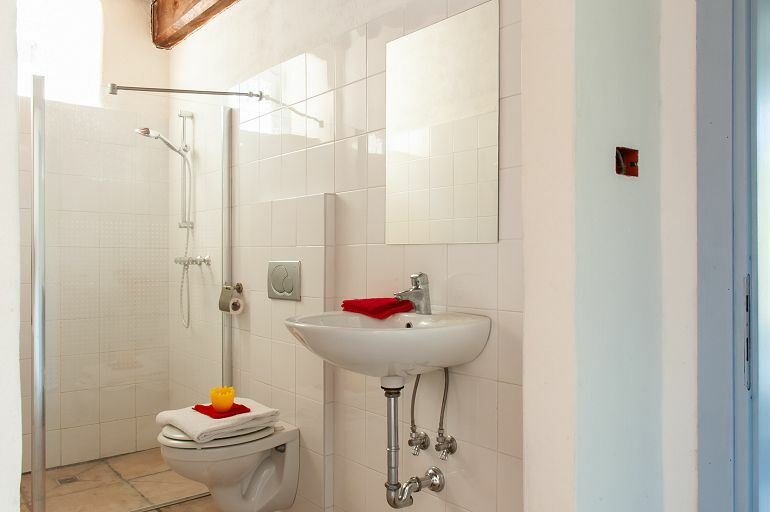 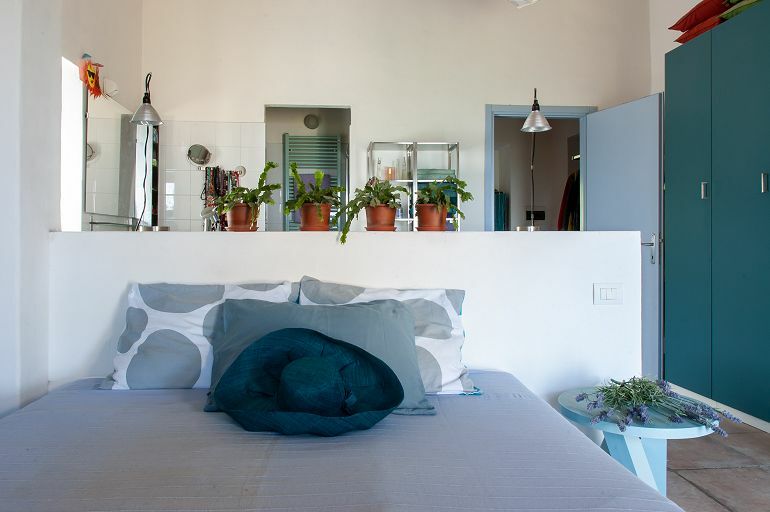 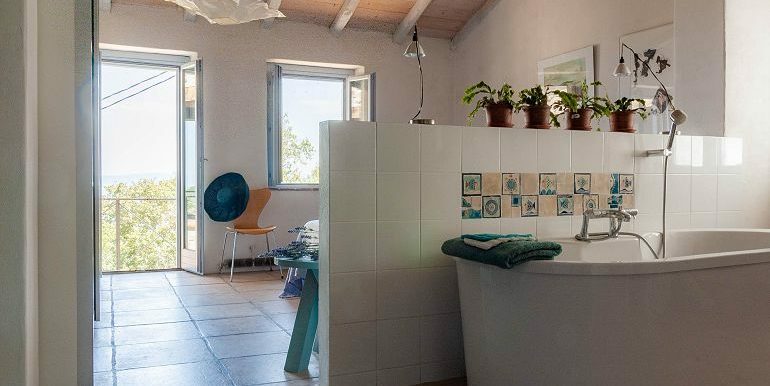 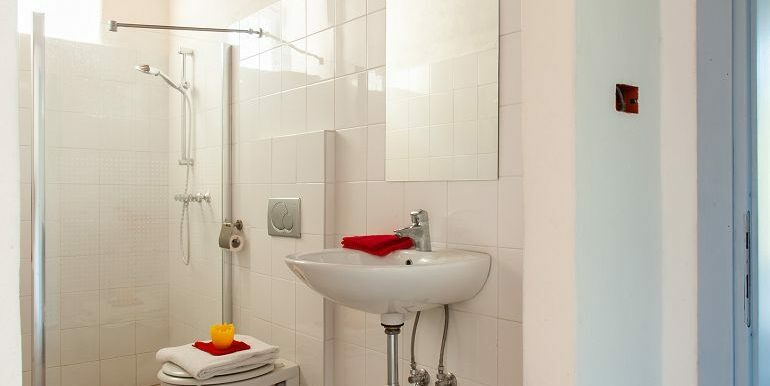 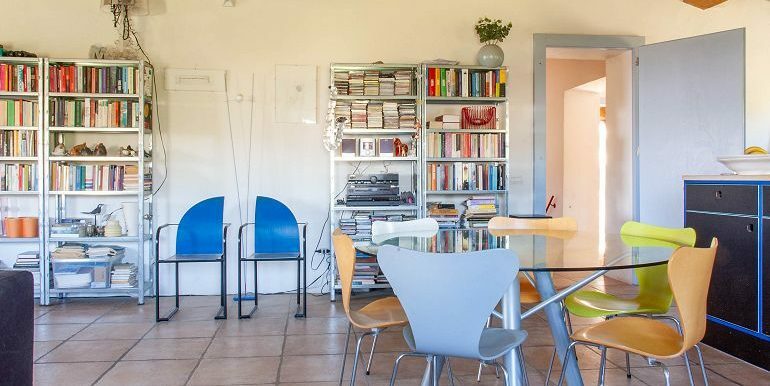 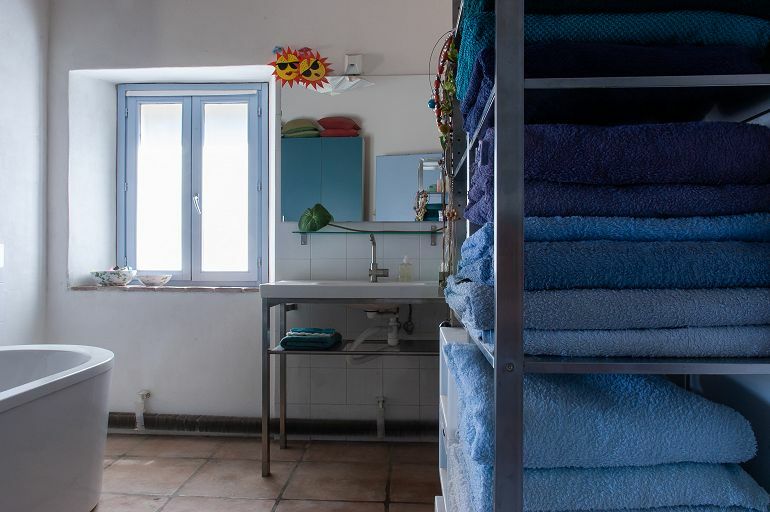 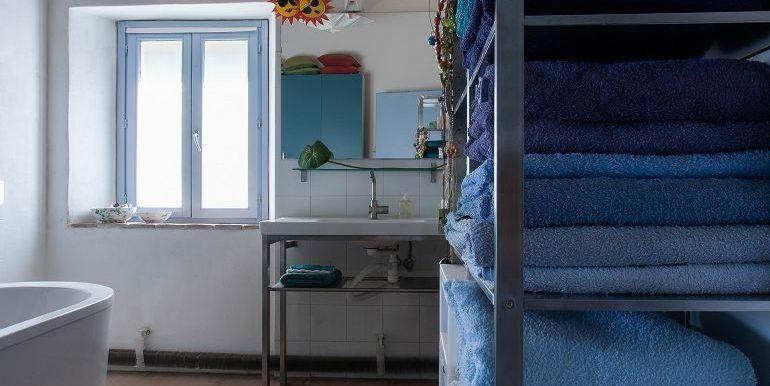 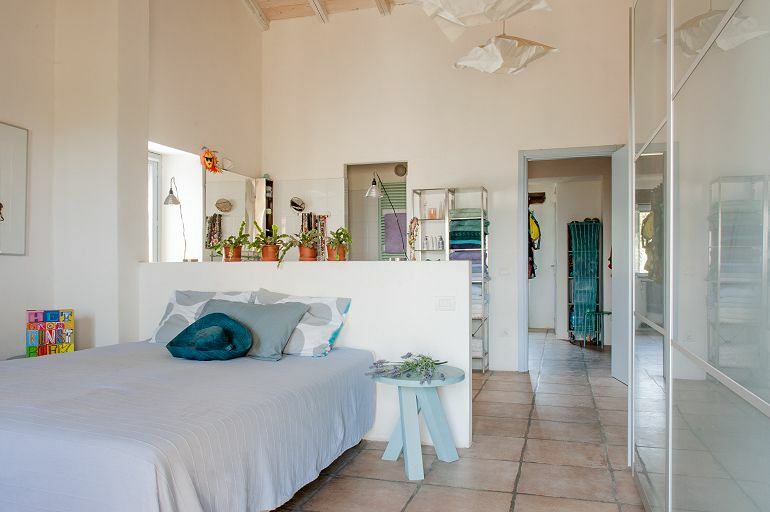 The first floor consists of a large bright living area with open kitchen and a beautiful panoramic porch (21 sqm), a bedroom with a bathroom and a guest toilet. 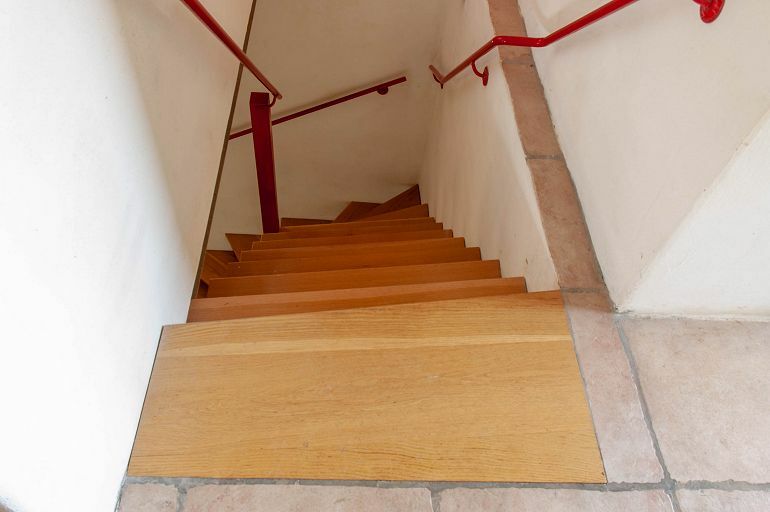 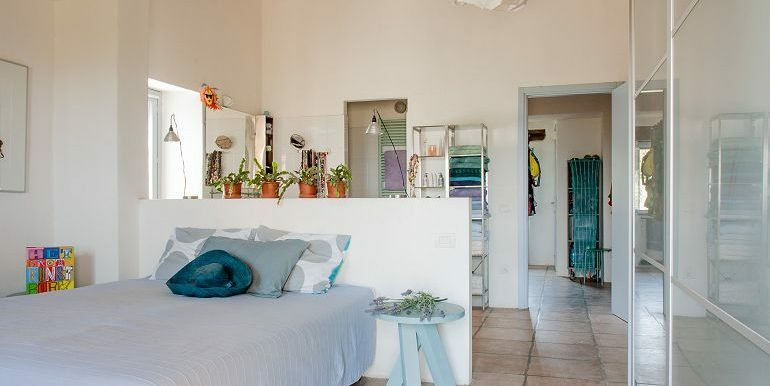 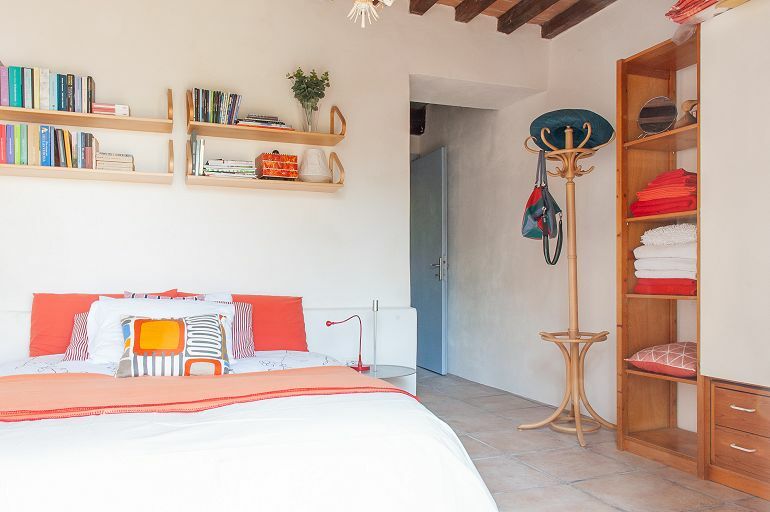 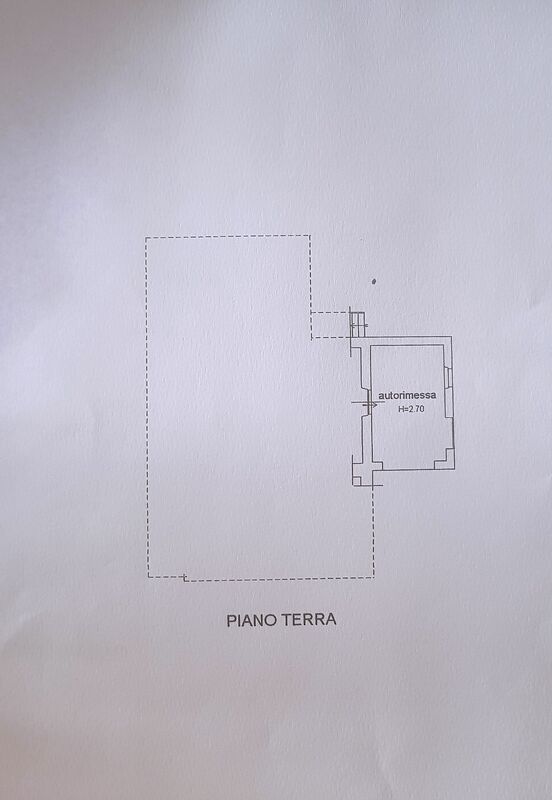 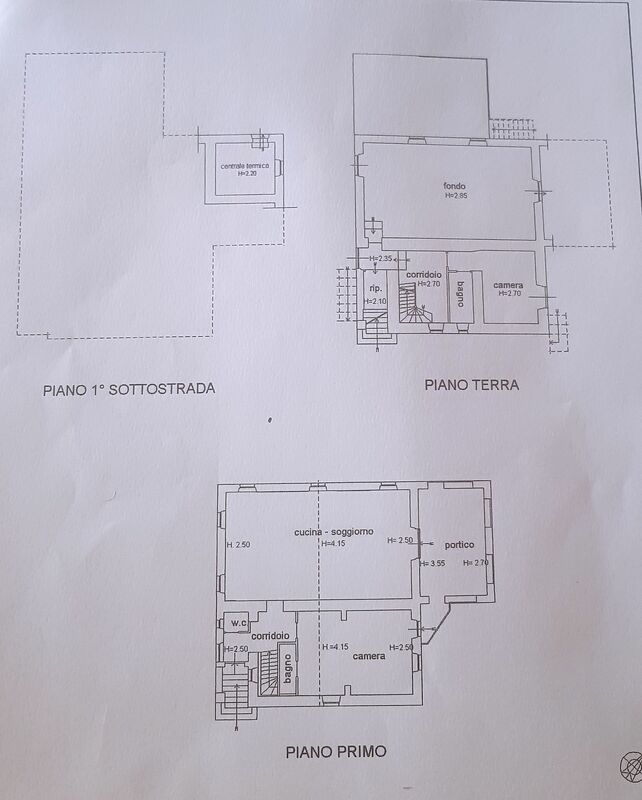 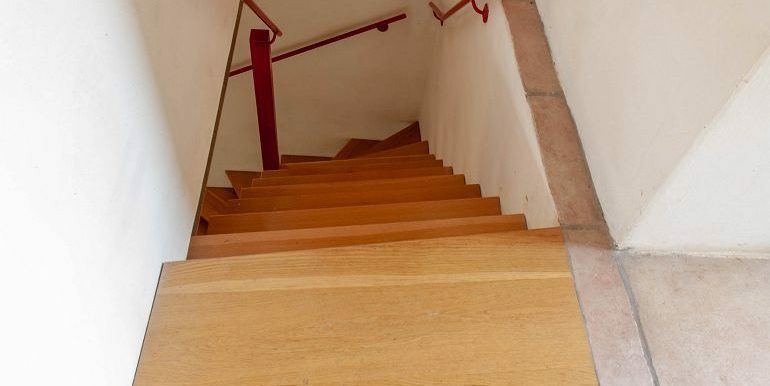 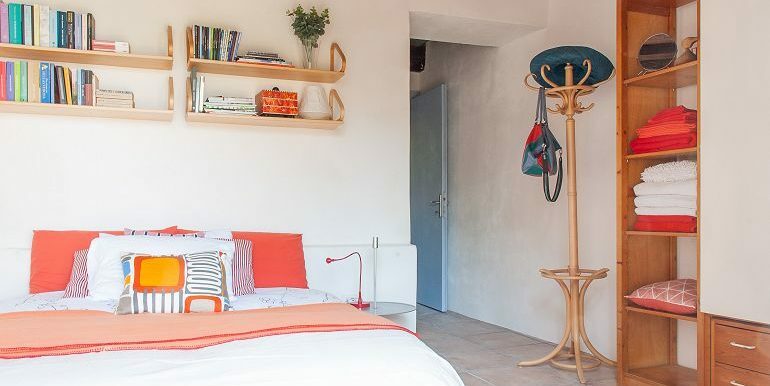 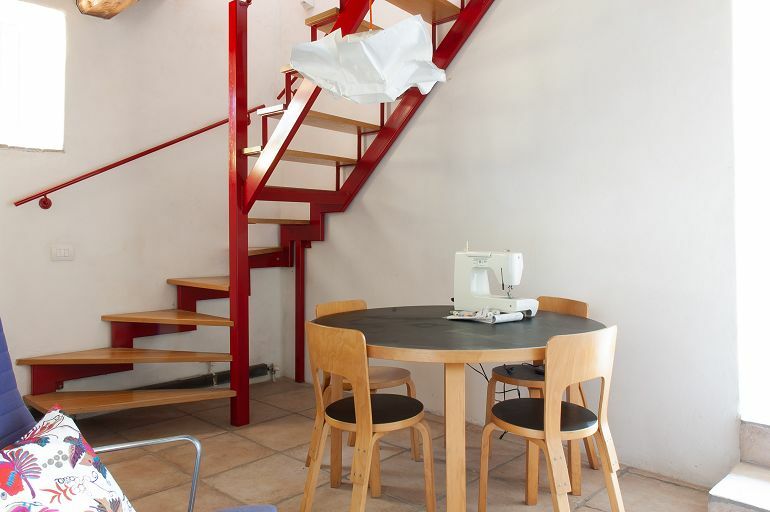 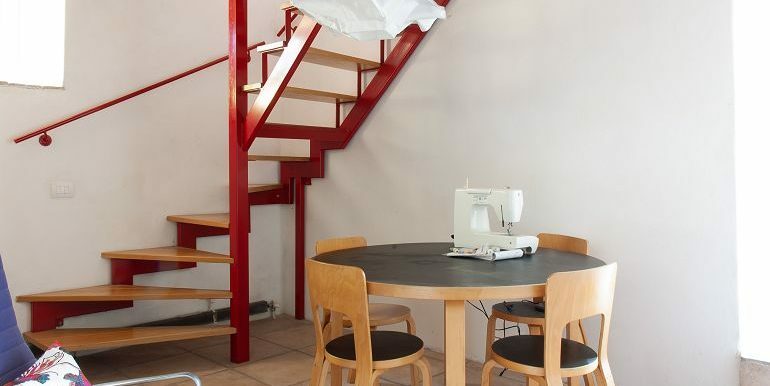 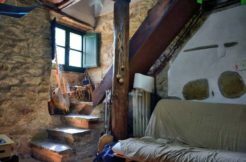 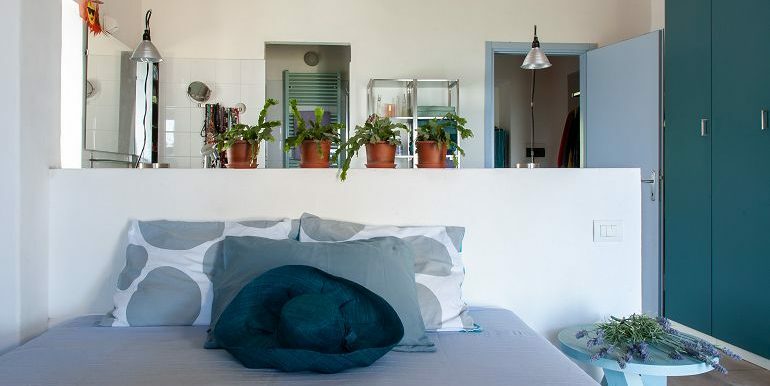 Possibility of creating a third bedroom.A wooden staircase leads to the ground floor consisting of a spacious hallway, a bedroom, bathroom, a spacious cellar (66 sqm) and a garage of 21 sqm. 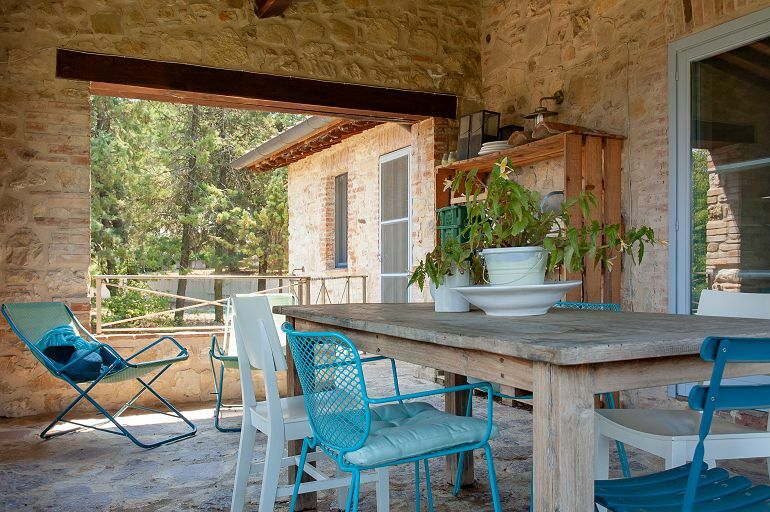 The natural garden around the house offers several areas where you can relax as the porch or the outdoor stone terrace. 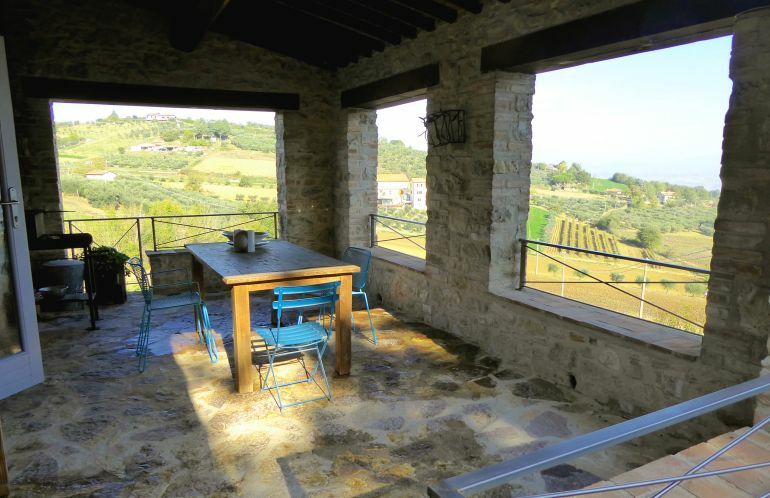 The privacy is absolute and the view in this area is simply wonderful. 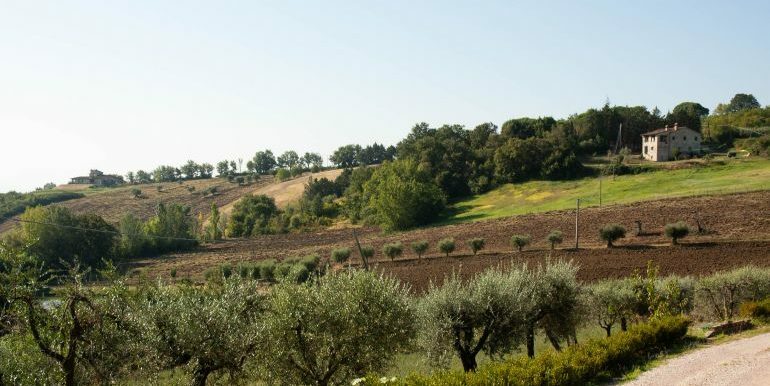 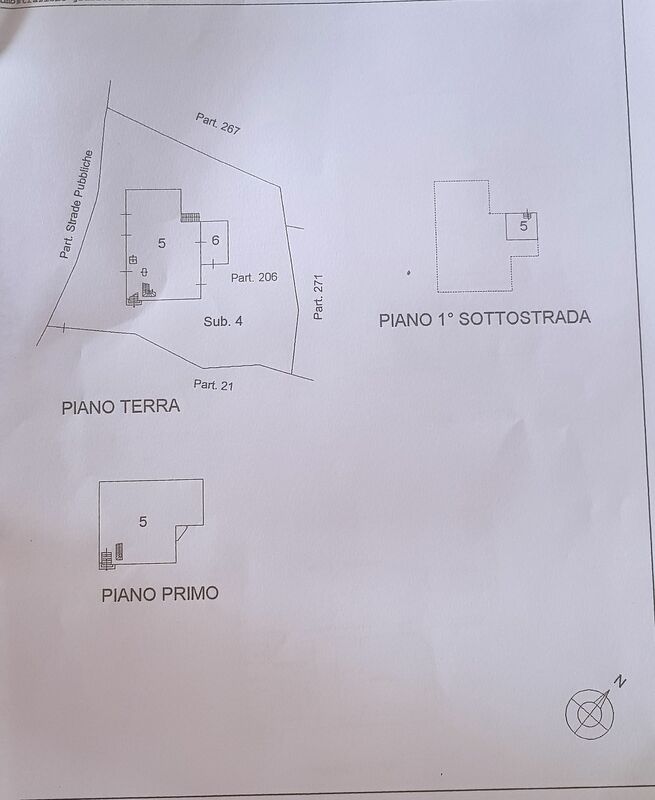 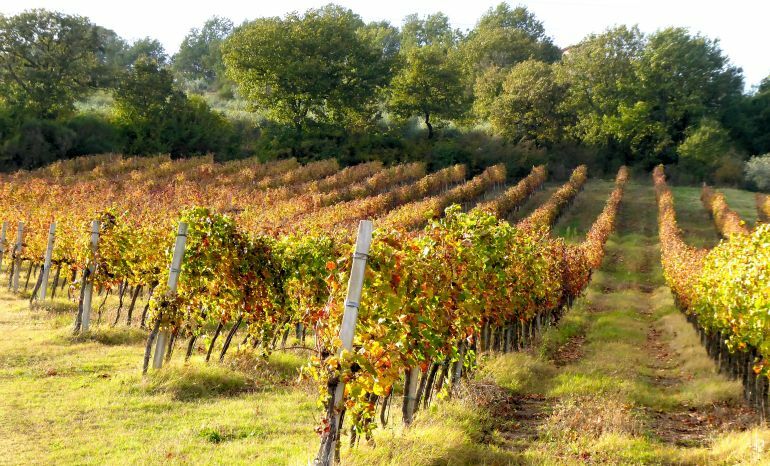 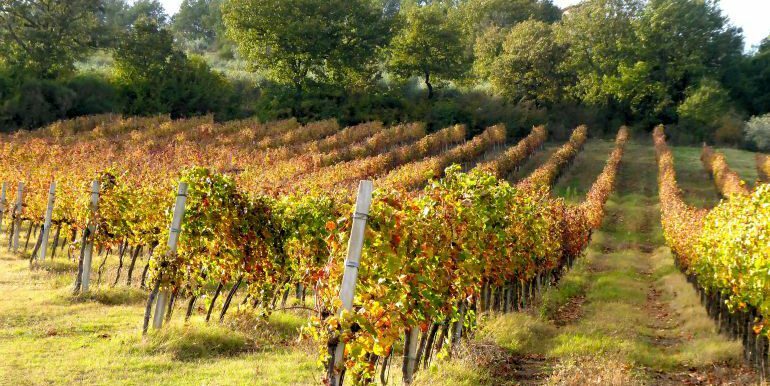 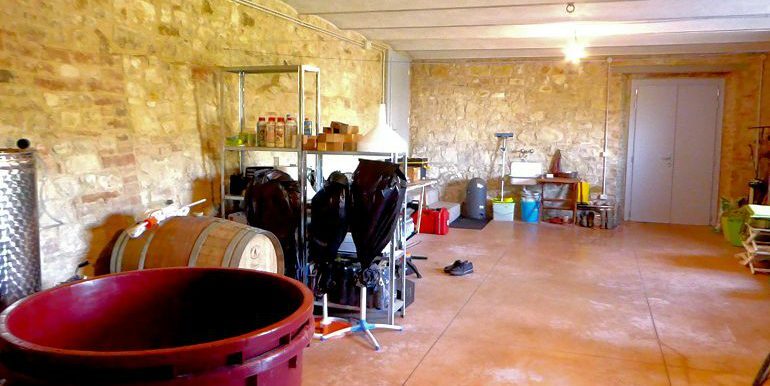 Total land 1.2 hectares consisting of wineyard and arable land. 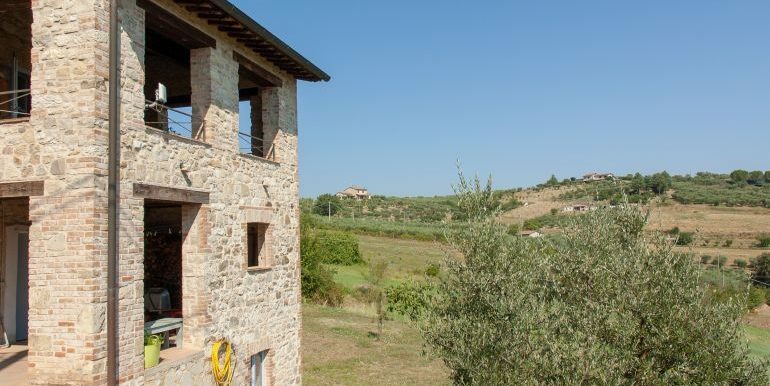 The village of Collelungo, mentioned in a document of 1292 of the Historical Archive of Perugia as ancient ‘Villa Collis Longis’, still retains an imposing medieval wall with some defense towers. 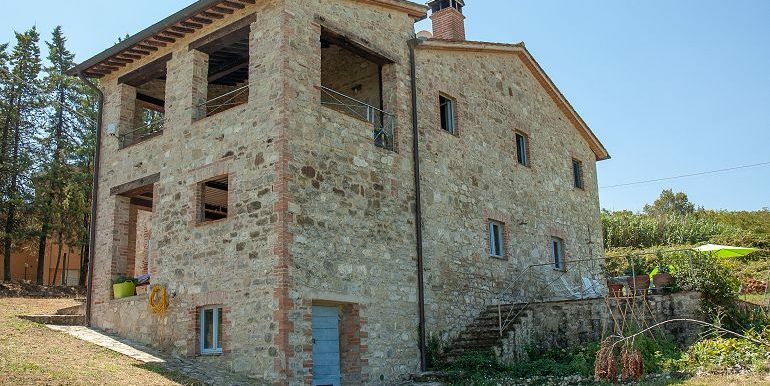 Another very suggestive medieval village nearby is Rotecastello, with its main tower still intact and traces of the other six defense towers. 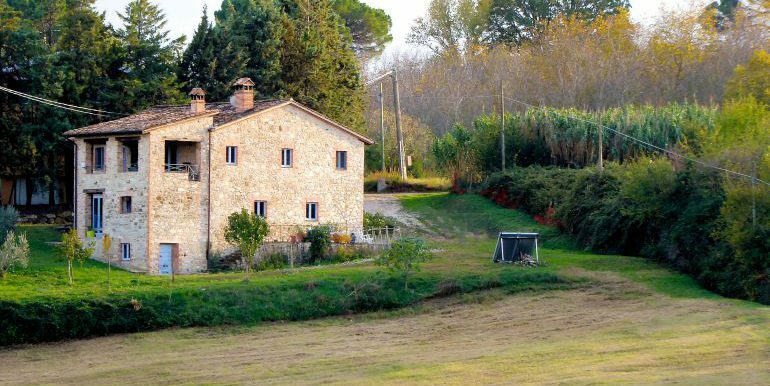 The city of Marsciano offers all services such as supermarkets, banks, post office, cinema and several restaurants. 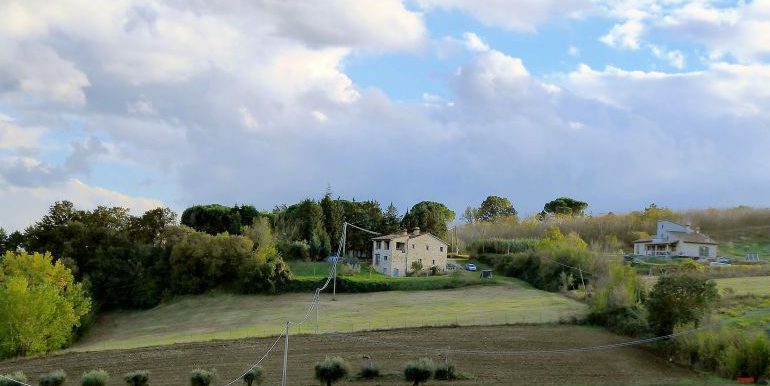 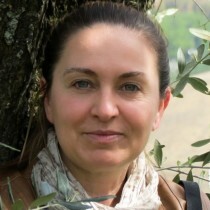 Perugia and Rome airports are respectively 38 and 175 km away.